Kathy Liebert, born Katherine H. Liebert is an American female professional poker player born on October 1st 1967 in Nashville, Tennessee. She currently resides with her family in Las Vegas, Nevada on her own ranch. Kathy, or PokerKat as she has become recognised, is a true poker champion with skill, intelligence and a feminine charm that keeps her opponents in good spirits, even when the stakes are high. With winnings accumulating to $5.9 million, her success at the poker tables is proven, but what is her story? Lets take a look. Raised in Long Island, New York, Kathy attended college in Poughkeepsie, New York where she graduated as a Business Analyst before finding work with Dun and Bradstreet. She quickly grew bored of the monotonous approach to her career and followed the advice of her mother and decided to change career paths from one that didn’t interest her to something that she loved. Fortunately her experience of the stock market allowed her to grow her finances to the point that she could leave her Analyst position and begin her pursuit of a more favorable career. It was now that Kathy had decided to visit Las Vegas, where she experienced the thrill of poker for the first time in the typical casino setting and it instantly struck a chord. She had minor experience in the game from family events and thought that she’d try her luck and fortunately hit the jackpot several times over. From this point onwards, she began to study the sport, reading books by professional poker players and practising whenever possible. She was soon hired as a paid player in the casinos, hired to promote the game and to attract other customers to the table. Las Vegas seemed to call to her and it was here that she began to pursue this new love. Liebert started her professional poker career as a standard prop player in the state of Colorado. 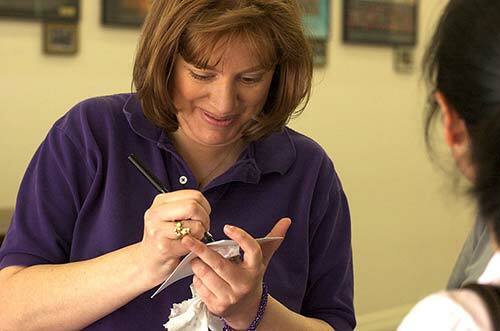 In 2002, she entered the Party Poker Million event with a total prize pool of $1 million and did well. Her skills didn’t end here as she went on to be a part of 5 final tables in the popular World Poker Tour, which included a great third place result in the 2005 Borgata Poker Open Tournament. This great achievement made her the highest finishing woman on the World Poker Tour Circuit. During the 2004 World Poker Tour, PokerKat won her first gold bracelet in the $1,500 limit Texas Hold ‘Em event that saw her pitted against two other women trying to win the cash prize. She also appeared on the 2005 Poker Royale: Battle of the Sexes and finished in first place. Her skills spread further afield during this contest as she also took on the role of commentator in the final game of the event. Liebert then went on to finish well during the 2009 Shooting Stars Tournament being part of the longest final table in World Poker Tour history to date. Her current earnings as a professional poker player to date stand at $5.9 million making her the third highest funded female professional in history. Recent events saw her walking away with a cash prize of over $40,000 with her participation in such events as the Wynn Fall Classic in October, the Deepstack Extravaganza 3.5 in September, the 44th World Series of Poker 2013 in June, the Seminole Hard Rock Showdown in April, the Bay 101 Shooting Star event in March, the World Series of Poker Circuit event in February, the Venetian Deep Stack Extravaganza IV in November 2012 and finally another World Series of Poker Circuit Event in October 2012 – she certainly is a busy lady! PokerKat has taken part in both national and international poker events, where she has emerged as a fan favourite. She holds 22 career titles and over 250 career cashes both in the United States and Europe. Kathy’s greatest accomplishment to date is finally reaching the climax of her career and being ranked as one of the top female poker players globally, as well as being ranked the top woman poker player of 2007, with earnings of over $4.1 million at the end of that year. Recognized as the first woman to win a million dollar prize pool on the PartyPoker Millions event, Kathy now enjoys a slower pace of life, visiting poker events and taking on new challenges that not only promote her status, but provide her with the ability to participate in a career that she loves. 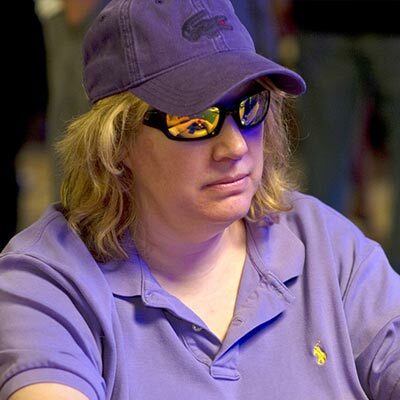 Want to Chat and Play Poker with Kathy Liebert?